Steam Ulfserkers are the face of any serious offensive movement. 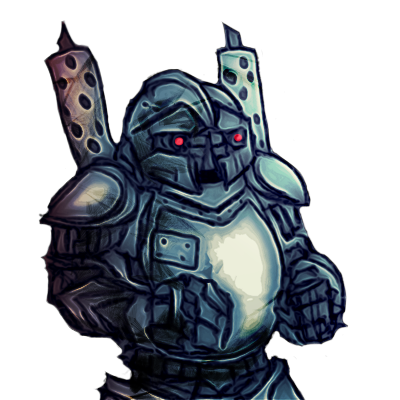 Armoured and armed with steel, they cut through opposition lines with ease, for these mechanical beings hold nothing back in a assault. It results in locking the opponent in close combat, attacking in a furious frenzy that only ends when either one is dead. Special Notes: Whenever its berserk attack is used, this unit continues to push the attack until either it or its enemy lies dead. Last updated on Sat Apr 13 00:55:46 2019.